A poker bonus is often the first introduction of a player to an online poker site. 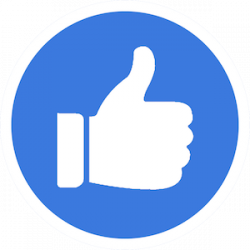 Bonuses are offered to entice players to their domains, giving them incentive to try the site. The bonuses are advertised on the sites themselves, but they can also reach potential customers through affiliate websites and general internet advertising. Poker bonuses may consist of various types of offers, which may include matching funds, free money or bets, and even some more creative offers. All, however, give some type of financial encouragement to create an online poker account. Most often, the bonus requires the deposit of some funds, though there are the occasional bonuses that only require a new account setup and provide you with a no deposit offer. Minimum deposit amount: For sites offering a match bonus, there is always a minimum deposit required. Most often, it is $10 or $20, but it is always smart to check. Qualifying deposits: Many deposit bonuses are good for the initial deposit only, but some sites offer the same matching percentage for several deposits, possibly the first two or three qualifying deposits. Wagering requirement: There is almost always a wagering requirement to meet before you can request a withdrawal. This means players must earn a certain number of points – VIP points or something similar. Incremental release: Poker bonuses are often released in increments of $5 or $10. This information should also be available on the website or ask the customer service department. Time limit: There is often a time limit during which the promotional money must be used or it expires. Online poker offers vary mostly in amounts and match percentages, but there are some poker sites that find creative ways to bring new players to the tables. The most common type of bonus offered to online poker players is the matching money. This is called a deposit bonus. If there is a 100% deposit bonus, a player can typically make an initial deposit of $20 to $100, and the site will match that amount. So, if a player deposits $20 and approves the bonus, there will be $40 in that person’s account with which to play poker. The poker bonus that has been gaining more popularity of late is free money. 888poker is known for its free bonus of $88, which new players can access for simply creating a new account during the time of this particular promotion. Some of the money is in cash for regular ring game action and some is in the form of tournament tickets for entry into various poker tournaments. 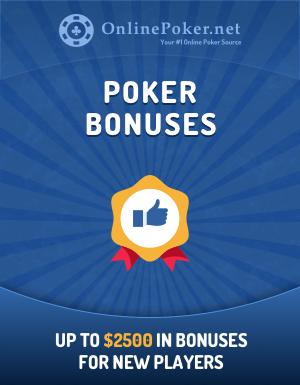 Some poker sites are establishing regular bonus opportunities for existing players. For example, Bodog offers the Royal Flush Bonus, and if a player hits a royal flush using both hole cards and wins with the hand, he or she wins a bonus in the amount of 50 times the big blind of the table. From the fine print to the wagering requirements, there are many reasons to investigate a bonus before accepting the one that appears to be the best at first sight. A site may offer a 200% match bonus, but you may have to wager any winnings from that matching money 50 times or more, making it tougher to be a profitable bonus. The majority of poker bonuses are directed at new players in an effort to entice them to create a new account and play on that poker site for the first time. Many of the deposit bonuses are aimed at those players as new customers, and no new player should ever join a new site without using a bonus. However, reload bonuses are very popular and aimed at players who deposited, lost their money at the tables, and have yet to deposit again. They are often offered a reload bonus, which is similar to many new deposit bonuses in that it offers a match of certain deposit amounts. As mentioned before, some sites like Bodog have taken to offering regular bonuses for existing players. Some depend upon the hands dealt, like the Royal Flush Bonus, and others are based on the draw of the cards. Many sites now take after live poker rooms by offering bad beat jackpots. A BBJ, as it’s often called, is a running pool of money collected through a bit extra rake charged for each hand. As the progressive jackpot grows, players compete as normal but get rewarded for getting bad beats. For example, if a player loses with quads to a higher hand of quads, the loser of that hand wins half of the bad beat jackpot, with the winner of the hand awarded a portion and the rest divided between other players at that table. Each BBJ works differently, but it is an example of ongoing poker bonuses set up to keep players at the online tables. Do All Sites Offer Poker Bonuses? We have yet to discover an online poker site that does not offer some type of bonus, at least for new players. The top poker sites, however, tend to offer several bonuses. They offer at least one new-deposit bonus, at least one reload bonus, and several other promotions for existing players. Sites like 888poker, PartyPoker, and PokerStars have a regular rotation of bonuses available at all times. In fact, sites from Bet365 to Intertops all have something for players to gain by choosing their sites. We show the best options here so players don’t need to search the sites and the fine print to find out which bonuses are the most profitable. Our experienced research team keeps an updated list of them here.